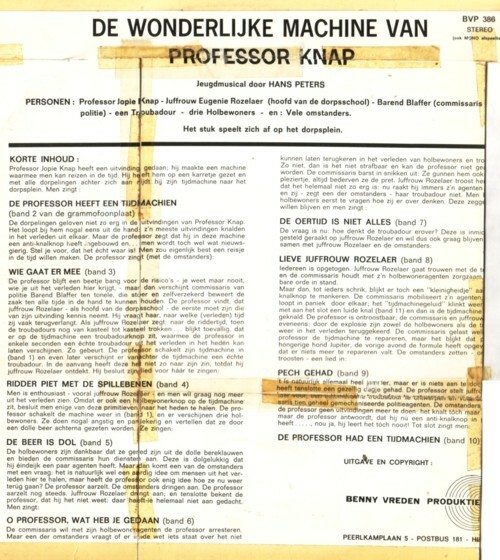 John Koenmans wrote that his class did the same musical in the sixth class of primary school as my class did: De wonderlijke machine van Professor Knap. I wrote ( here ) that I got a CD of the musical from Bart Peters (the current director of Benny Vreden Producties and the son of the writer of the musical, Bart Peters), which made me very happy. But John send me the orignal LP!!! As you can see the sleeve has been the victim of some serious violence. I wonder why or how this happened: there are only two small parts missing, but the damage has all the features of a person that had bad memories of the musical. I am not very much into nostalgia. I don’t want to re-live my youth or any other part of my life. I just want to be able to watch or listen to the things that I watched or listened to when I was a kid with the ears and eye of my present self. In the sleeve was a stencilled invitation for the musical. 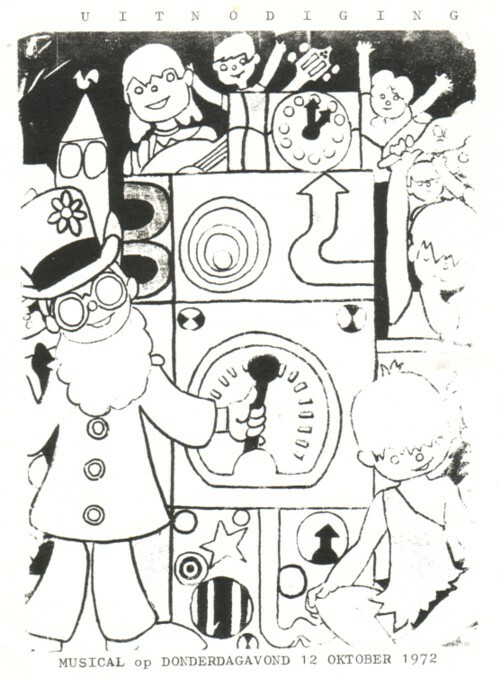 Our class didn’t have that: each kid had to make an invitation for it’s own parents. If I had the money, I would ask one of my favourite rockabilly bands to record a rockabilly version of the musical. But until that day I can only share this with you. I remember that our class had great difficulties learning his song. The ”Oh-oh-oh” was way beyond our musical abilities and I remember that our school teacher busted out in fits of fury when we screwed it up again. Ha Frits, kan ik een cd-tje ontvangen. Ga ik kijken of het verrockabilliet kan worden. Ik ken de hele musical niet maar wellicht kan mijn thuisband er ook iets mee….? 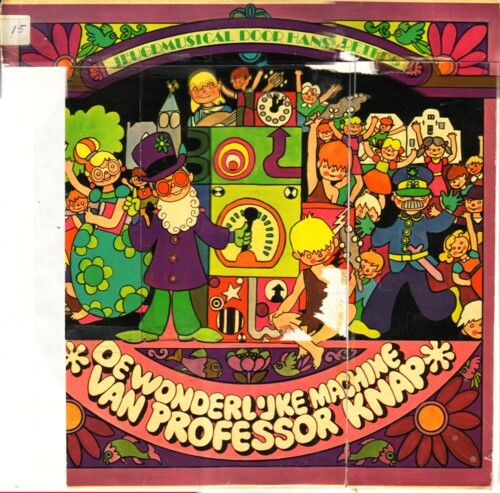 Album on vinyl for sale, originale langspeelplaat te koop.